It is notable that the manner of Morningside's denial was that the town completely refused to acknowledge the existence of the public records of these records, attempting to create a "legal fiction" that because the records were not physically in their possession they did not exist at all, even though they knew the vendor was maintaining them on their behalf. The town even went so far as to assert that they did not operate a speed camera program at all, presumably on the grounds that the contractor ran almost the entire program. This highlights how local governments have at times attempted to use the existence of a non-government custodian as a way of creating confusion and avoid directly responding to a request or complaint, attempting to conceal records by misdirection rather than an an outright denial. Fortunately, in this case, the circuit court did not permit itself to be misled in that way. "Since our Interim Report was issued, the PIA Compliance Board issued an opinion that touches upon this issue. The Board concluded that, under the facts presented to the Board, a municipal government was obligated to seek records from its third-party speed camera vendor if doing so would provide a less expensive means of responding to a PIA request. See PIACB-17-07 (Feb. 28, 2017)." The aforementioned MPIA Compliance Board opinion involved a request from the Maryland Drivers Alliance website, after the Montgomery County government attempted to charge over $19,000 for access to records pertaining to the details of red light camera violations collected at a location where a yellow light had a time shorter than the minimum time specified by a State Highway Administration policy. In the aforementioned case, the Montgomery County Government first outright denied access to a small sample of "yellow time" "red time" and other data pertaining to red light running violations on three separate instances. After a second request for a larger set of electronic data was submitted, the MCPD instead of denying this separate request instead attempted to charge a fee of over $19,000, and also denied a request for a "public interest fee waiver". The fee for the second request (and only the second request) was brought to the MPIA Compliance board. 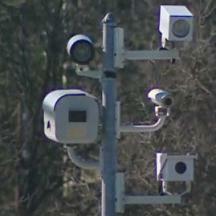 The county repeatedly asserted that a manual retrieval process requiring printing thousands of individual paper citations was the only means of satisfying the request, while ignoring the fact that the physical custodian of the records was the red light camera vendor and that the vendor would likely have another source of data in an electronic format and the capacity to retrieve the information far more cheaply. Even after it was proven that the vendor did in fact have another source of this data, and the vendor confirmed they could retrieve the data at 1/10th the cost, the county continued to assert that they need not use the vendor to pull this data. The board determined that it is reasonable for the county to utilize their vendor to retrieve records, and stated on that basis that that $1980 was the maximum "estimated fee" that the county could charge, although indicated that the fee still needed to be further refined. However the MPIA Compliance Board was granted extremely limited authority by the legislature, and has no authority to consider "public interest fee waivers" or denials of records such as the denial our first request. Therefore the denial of the first request and the county's denial of the Public Interest fee waiver have since been brought to the circuit court and is now pending trial. Montgomery County has thus far attempted to confuse the issues in the court case by avoid responding to the allegation that they outright denied the first request, even though the custodian put this denial in writing twice. The Maryland Drivers Alliance has worked tirelessly, with the support of organizations such as the nonprofit National Motorist Association Foundation, to ensure the transparency of automated traffic enforcement programs. We realized some time ago that photo enforcement programs were just one example of a situation where records pertaining to the function of government relevant to matters of significant public concern were being kept in the hands of non-government custodians, and that existing case law in Maryland left the question of access to such records ill-defined. More and more, governments are utilizing private contractors to carry out functions traditionally performed by government, and we now live in a time when records might be stored on a database run by a contractor or in a private cloud server operated by Microsoft of Amazon rather than a machine physically located in a government office. The Maryland Drivers Alliance is pleased that our efforts have helped to further the understanding of public records law generally and we hope that media organizations and activist organizations involved in other issues will benefit from efforts to ensure that public records cannot be concealed or placed behind excessive fee barriers simply by outsourcing the storage and maintenance of records to a private contractor.